With the longest wheel base in its class, the new GD655-6 offers exceptional fine grading performance. Even with a long wheelbase, the GD655-6 maintains a tight minimum turning radius, thanks to a maximum articulation angle of 25 degrees. This grader is extremely maneuverable and productive in tight road work or cul-de-sac applications. 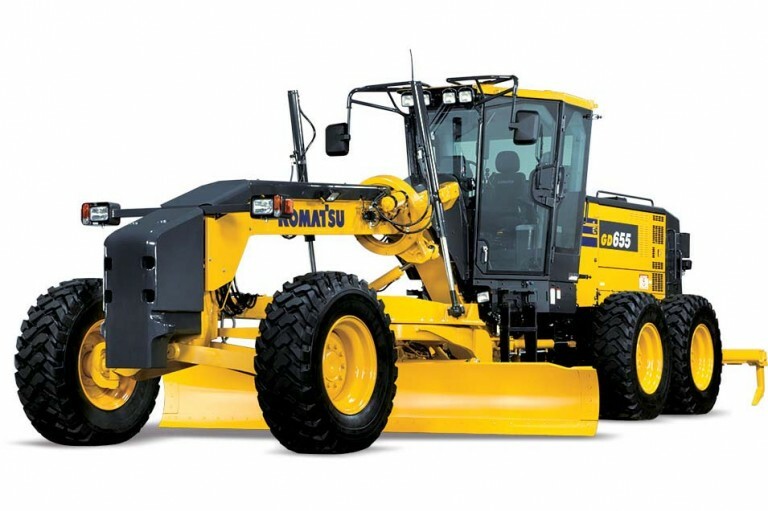 Thanks to the new, Komatsu designed, Tier 4 Final power plant, GD655-6 owners should see a drop in fuel consumption of up to 5% when operating in “power” mode, and up to 15% in “economy” mode, compared to the GD655-5. Max. torque @1450 rpm 941 Nm 96.0 kg•m	694 lb.ft. Maximum lift above ground (Blade)	 480 mm	1'7"
Maximum cutting depth (Blade) 615 mm	2'0"